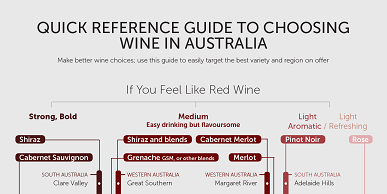 I love a great value Shiraz – especially one that is consistently good between vintages, and always drinking well, without breaking the bank. Seppelt Chalambar is my current Go-To Shiraz for that reason. I bought a case recently and was super-impressed. This wine is full of flavour, length, structure, with great tannins, mouthfeel, balance (and all the other words that you see in wine reviews!). It is highly sought-after and is the third-most highly rated wine from the Grampians, as you can see from its page on Wine Searcher. Well, this winter, it is Seppelt Chalambar. Seppelt is a brand with a great reputation. This is an example of an excellent, but also large winery (and part of a larger parent company) with significant resources (which means it can shuffle around its grapes and winemaking resources as needed) but also with a serious reputation to protect. So, it is a case of the ‘trickle-down’ effect – a great winery delivering high quality all the way down its range. The Chalambar was named after a mountain near Great Western in Victoria. Seppelt has been making it since 1953! The wine is a combination of Bendigo and Grampians fruit, which gives it both power and grace. Bendigo is a little warmer and provides the dark-fruit-like characteristics (think plums) and structural elements (tannin, length of flavour). The Grampians region is a little further south and a little cooler. So, it takes a little longer for the Shiraz grapes to ripen and they do so with a more herbal, spicy and floral profile (leafy characters, violets). It is a great combination of complimentary expressions of Shiraz. Dan Murphy’s currently has the Chalambar for around $21, which I think is great value, and it is available widely elsewhere. It will age nicely for a few years too. I hope you get as much value from this wine as I do.